We will be using the minified version of bluebird’s core library (Get it here). You can go with the ‘full’ version if you want, just keep in mind that (in both flavors) not all of the library features are available in the ES6 version of Promises. This would be an issue for you if later on, ES6 (and Promises) are supported in Titanium, and you want to switch to those instead of bluebird. Otherwise, you could just stick w/ bluebird for your app. 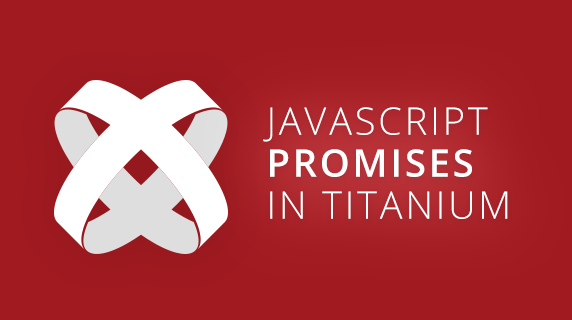 Now that we have a promise library working in Titanium, let’s use it with the xhr.js lib we created previously. This example is pretty straightforward: we’re doing one request and are handling the return data in a single callback function. Issue arise when we have multiple requests to make, such as if we have to do an initial GET request to the api, then do a follow up request to a different endpoint based on the data returned from the first one. We’ll have to nest the followup xhr.send() inside the onSuccess() callback of the initial request. We can only go so far with our demo code here, so let’s try out our xhr library with Promises with a real live Appcelerator app. For this, I have created TiStarWars. This app uses the excellent and free Star Wars API to fetch live data via our xhr library with Promises. No API authentication required, just launch the app and go. Thanks Adam for this great article, it was so helpful. Hey Adam, fantastic article, came across it in your blog the other day while looking at how to use promises in a Titanium app. Took my learning curve right down and have used some of your insight in a Ti project of my own. Thanks for this article. I had previously scoured for some resource on implementing promises in an Appcelerator project to no avail, but this article is exactly what I needed and helped me solve a lot of trouble with some async calls in my app. Looking forward for the next you share with us!